The purpose of the Mars One Mission is to make a permanent first human settlement colony on Mars during the next decade with a specific year of around 2027. Mars One is an not for profit organization that is situated in the Netherlands and is a private Spaceflight program led by the entrepreneur, Bas Lansdorp. He made the public announcement of the Mars One Project in May 2012. One of the visions behind this endeavor is that it is by the people and for the people. It is a crowd funded and independent non-government funded program. Anyone can signed up for the mission, and then applicants go through the selection process. At the moment the application process is closed but will be open again when they decided to do another selection process for follow up missions. The idea is when the first group of humans have settled on Mars there will be following one way missions for people to settle there every two years. Mars One organizers have claimed that as many as 202,000 people have signed up for the first application process. The closing date for the first online application was August 31, 2013. A second application for future missions has not yet been announced. Applicants go through a filtering and selection criteria involving fitness, training preparation, health, their psychology profile, among other things. This selection will reduce to four people whom will go on the first mission. With the gender being a equal balance of two men and two women. The integrity of the project has been brought into question by a number of experts such as scientists and engineers, along with those in the aerospace. They have criticized the schedule, financial feasibility and technical areas, along with the ethics. However, the Mars One Mission team have elaborated and countered these questions, with their plans and proposals including the funding. The original concept of the Mars One Project proposed launching a robotic lander and orbiter, as early as 2016, with as mentioned, a human crew of four in 2022. However, this has now been rescheduled to around 2018-20 for the robotic mission and 2026-27 for the crew mission. The organizers intended for the crew to be selected from applications who paid an administrative fee, to be come the first Martians of Mars with no plan of returning to Earth. One of their approaches that would contribute to on-going funding would be a reality television show that would document the journey. This idea of a “Big Brother” style reality TV show as been abandoned in favor of a documentary style series. As I mentioned previously, it is a one way mission using existing technologies. It means that with the trip being a one way mission, the costs of the project will be reduced. Not least with the lesser amount of rocket fuel consumption required. In addition, the founders of the Mars One Mission project feel it is also safer for a one way trip, without the risk of taking off from Mars and returning to Earth. The entrepreneur leading this project, Bas Lansdorp who is Dutch born, says he intends to go and live on Mars himself, but firstly want to be leading the project from Earth to make sure the initial Martian permanent residents will be a success. Initial discussions of Mars One took place in 2011 involving dialogues with the two founders, Arno Wielders and Bas Lansdorp. A public announcement was made of the idea in May 2012 for a one-way trip to Mars, with an initial robotic mission in 2020, followed with transporting the first human colonists to Mars around 2026. In 2015, Bas Lansdrop discussed in the press that with the project evolving from its initial design, the intention is not to send humans to Mars in 2027 on a $6 billion budget with 14 launches. The ultimate goal is to send humans to Mars continually. This likely means that there will be considerable more funding. The Mission has been criticized by those who argue that the $6 billion budget is too low. NASA has estimated that its own planned mission to Mars in 2030-35 will be around $100 billion, however, they also intend to bring the crew back to Earth again. I think it is important to dream big and have a powerful vision. This is certainly the synergy of the people behind this project. The first settlers to Mars are truly awesome, who will eventually go and live there. They are truly willing to think out of the box and that is to be admired! They are making a great service and future for humanity. This is the kind of project that humanity and the earth needs right now. The amazing candidate, Anastasiya Stepanova, in the following video, whom is in the selection process discusses her dream and vision of going to Mars. It is worth listening to what she has to say. If you have a crazy dream than so much the better. It is important to go for it and see where it all leads. If you only procrastinate and never take any action then it is likely you will regret it for the rest of your life, thinking of what if. In my experience it is always important to go for your dream and if it sounds crazy then its probably right for you. 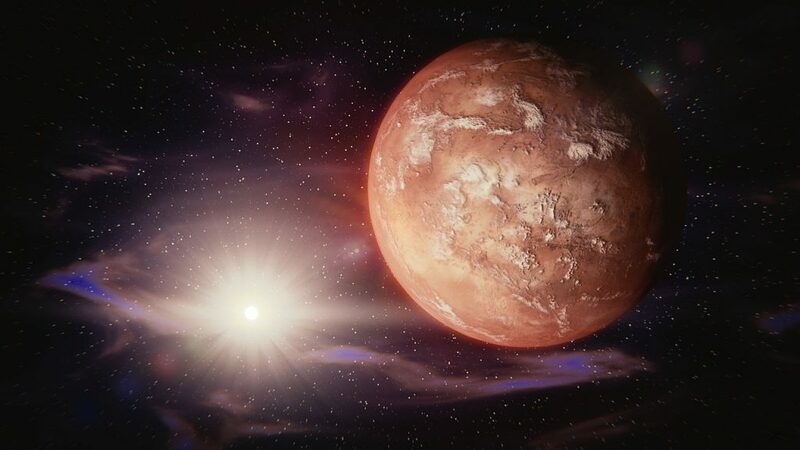 Once it has been proven that the initial settlers can live on Mars independently growing their own food, along with regular resources being shipped to Mars from Earth, then you will likely see the race is one to live on Mars. The idea of going to Mars is very compelling. Would you go? I would definitely consider it. I would want to see that the first settlers has been a success, then I would think deeply about signing up, perhaps to retire there. I think I would want a good internet connection with real time communication with Earth first. If you can have high speed broadband from Mars then we are Golden! However, for that to work we would need to understand the concept of a Quantum Internet with Entanglement allowing for faster than light communication. At the moment it can take up to 30 minutes for data to reach any of the mars probes that have traveled to Mars. What is important here is the first Permanent Residents of Mars are going boldly where none of us on Earth have gone before!